This thread has information about all of our staff team members and ranks, including applications for those who wish to help iLoveBacons to thrive! Application details are available near the bottom of this post. Please read information about the ranks that interest you before applying for them. Visit the Server Application page here to apply! All applications are discussed by relevant team members. They can take roughly one week until you hear back from us. Feel free to contact one of them if over a week has passed. Staff team members can be found by searching the forums' member list, accessed by clicking the arrow near "FORUMS" in the upper left corner of any page, or by clicking here (https://ilovebacons.com/members/?key=staff_members). Administrators, also known as the Owner and Co-Owners, are the highest-ranked staff members In iLB. Their rank is primarily related to root management, maintenance, and development. Managers are the primary members of iLoveBacons's management team. They individually focus on leadership, overseeing, and other management of various sections of the community, such as server moderation, projects, and personal relations. Discord Administrators are similar to Community Moderators; however, they specialize in moderating the Discord server and do maintenance of it as necessary. Community Moderators are responsible for moderation of the forums, the Discord server, and any other out-of-game areas of the community. Starbound Moderators are those who maintain the Starbound server. They protect the server and players from disruptions, perform maintenance such as restarts and announcements, and address various other server problems. Starbound Watchers work with the Starbound Moderators in order to keep the server safe. They have access to several tools that allow them to use kicks, identify players, and receive priority access to the moderators. In most cases, this acts as a trial rank. Server Builders are responsible for in-game creations that are used in many of the server's projects. This includes official worlds and worlds for events. Modders support other contributors by providing custom vehicles, objects, and other items for use in official projects. They may sometimes work with Server Artists in order to do this. They should not be confused with moderators themselves. Server Artists support other contributors by providing artwork. Depending on their focus, they may create sprites or website design. Sprites are passed on to server modders, who create custom vehicles, objects, and other items; these are most often used by the building team and in official events. Artists are also helpful for design of official posts, banners, and general aesthetic quality of the website. As the rank's name implies, Event Organizers are responsible for planning activities for the server, including events, parties, and games, and working with all other contributors as necessary in order to achieve this goal. In other words, while anybody can suggest and discuss project ideas, the Event Organizers are those who develop and manage them. Event Organizers who specialize in RP-related events are known concisely as RP Organizers. Like RP Monitors, RP Managers are responsible for management of the whitelisted role-playing hubs. Although their full roles are generally similar, RP Managers are entrusted with increased abilities, such as kicking disruptive individuals in these worlds and taking further initiative on projects for these areas. RP Monitors help with management and moderation of the whitelisted role-playing hubs. They help players to balance and develop their content, intervene in disputes, and enforce rules against those who refuse to follow them. In cases of server rulebreaking in these worlds, the RP Monitors have priority access to the Starbound server moderators as well. ..:: WE DON'T ACCEPT WHO WE DON'T KNOW ::..
We can't accurately determine whether you're qualified for a rank if you're not known well. Please don't attempt an application if the staff do not know you well. Many applications that are declined are declined because of this reason! Take time to meet and know staff members before you apply. Try to have plenty of time on the Starbound server and often appear on the Discord server. You can even simply use text chat if you'd like to on the Discord server; voice is not required. This will allow the staff members to make a more accurate judgement about you if you decide to apply. Taking time to look at an application before actually completing it is also a good way to improve your chances for a rank that interests you. Considering each question and requirement carefully allows more time to ensure that you are satisfied with the application. If staff members don't know you well enough to trust you, you're unlikely to be accepted. This post is also reserved. The staff team has been updated today. -Faire has been demoted from the Event Organizer rank partially due to inactivity. -Nola has resigned from both the Event Organizer rank and the Starbound Moderator rank. -David Drek has resigned from the Builder rank. He wishes to continue focusing on his roles as a Starbound Moderator and Community Moderator. -The Event Organizer Derrick (known as oyster#3401 in the Discord server) has been promoted to the RP Monitor rank! At the moment, we primarily need more Starbound Moderators and Starbound Watchers. If anybody is interested in helping with keeping the peace in the Starbound server, please feel free to apply for that rank. Depending on our Builders' activity levels in the future, we may also need more staff members of this rank. Applications for the others are always open as well, if they happen to be of more interest. More updates will probably arrive during the next week. - @Dimmer has been promoted into the Server Builder rank! - @realstiel has been promoted into the Server Builder rank! - @Inferion has been promoted into the Server Watcher rank! - @Bluesilly, @Box, and @BlevRuz have resigned from the Server Builder rank. Thank you for your contributions over the past several years! - In the case that the update was not mentioned in the previous version of this thread, it appears that Arcanis Hex, also known as Tempest, has resigned from her Event Organizer rank. Please feel free to apply for any of the staff ranks if you are interested in them. More updates may arrive within the next two weeks. - @Solara has been promoted into the Community Moderator rank! - @Archduke Seraph has been promoted into the RP Monitor rank! - @mett has been promoted into the Server Watcher rank! - @Thomaslink16 has been promoted into the RP Monitor rank! @Bread has been demoted from the Starbound Moderator rank due to inactivity. @OttoVonCudi has resigned from the RP Monitor rank. The Event Organizer @Frybo has been promoted to the RP Monitor rank! At the moment, we are currently interested in more Starbound Moderators and Server Builders. Please feel free to apply for any of our staff ranks if you are interested in them, or encourage anybody who may be interested to do so. It appears that @Frybo has resigned from their Event Organizer rank. They wish to continue focusing on their role as an RP Monitor. @Isbjörn has rejoined the staff team with the Server Builder rank! In addition to his role as a Server Artist, @Kohi has been promoted to the Watcher rank! Following a successful event that they hosted at Port Lux, @lpl has been promoted to the Event Organizer rank for the RP staff team! At the moment, we are primarily interested in more Event Organizers and Server Builders. Please feel free to apply for any of our staff ranks if you are interested in them, or encourage anybody who may be interested to do so. More updates may arrive within the next two weeks. "That's right fellas, I'm takin' this server by storm..."
@mett has resigned from the Watcher rank. @Kishin Crona has been promoted to the Watcher rank! At the moment, we are primarily interested in more Event Organizers (ideally for general events, as opposed to RP) and Server Builders. Please feel free to apply for any of our staff ranks if you are interested in them, or encourage anybody who may be interested to do so. More updates may arrive soon. @The T has resigned from the staff team. Thank you for your contributions as a Manager and moderator over the past several years! Although this is not an official promotion or rank, @David Drek has added recruitment to his focuses as a Community Moderator. In other words, he will help community members and recent recruits with questions about the staff team's various ranks and watch for good candidates for the staff ranks. Anybody who has questions is encouraged to speak to him or me. We currently have four RP-focused Event Organizers that we recruited over time, which - while helpful for Port Lux, especially with our most recent of them - has caused confusion between their role and the role of general Event Organizers. In order to solve this problem, those four ( @Thomaslink16, @Derrick, @Morphine, and @lpl ) have been separated into a new rank known concisely as the RP Organizer rank. At the moment, we are primarily interested in more Event Organizers (ideally for general events, as opposed to RP), Server Builders, and RP Monitors. Please feel free to apply for any of our staff ranks if you are interested in them, or encourage anybody who may be interested to do so. More updates may arrive soon. @RiSKYxWolf has rejoined the staff team with the Event Organizer rank! @Youzi Wami has been promoted to the Server Artist rank! 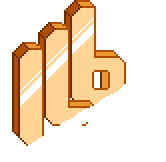 At the moment, we are primarily interested in more Event Organizers (ideally for general events, as opposed to RP), Starbound Moderators, and Server Builders. Please feel free to apply for any of our staff ranks if you are interested in them, or encourage anybody who may be interested to do so. More updates may arrive soon.